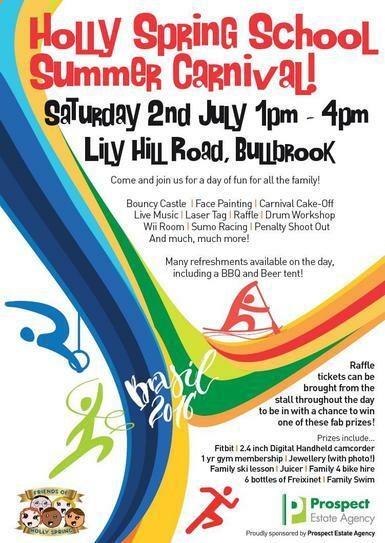 'Friends of Holly Spring' invite you along to our SUMMER CARNIVAL, this Saturday July 2nd from 1pm-4pm. There is lots to do and some great acts performing. This is a FREE event but any donations are gratefully received. Feel free to bring a picnic blanket and ENJOY!